What Should Be On Your Tea Menu? 2. Demographic trends show that for every 2 younger customers, one will likely want tea instead of coffee. 3. Even when coffee sales volume slumped at Starbucks, they were able to offset those lagging sales with tea, especially during the non-morning hours. Another surprising statistic: only 3-5% of total sales at most coffee retailers comes from tea. 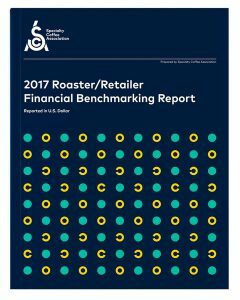 This is according to responses collected from approximately 2,700 respondents to the SCA’s Roaster/Retailer Financial Benchmarking Report. If tea is growing more significantly at major chains, what can account for the differences in tea sales in these coffee shops? If your prevailing assumption is that black teas carry the day, your tea menu may be off target. The Starbucks and Dunkin menus list 2 black teas at most- not counting chai. Even with Peet’s and Intelligentsia (aka Kilogram teas), the selection was limited to a breakfast blend (e.g. English Breakfast) and Earl Grey. Recommendations: black teas account for approximately one-fifth of your tea menu (not counting chai), and include a premium, flavorful breakfast tea and an earl grey. Most coffee shops carried as many or more green teas than blacks. This includes matcha and matcha lattes, breakout beverages that offer great versatility in both hot and cold drinks and drink mixes. Recommendations: include at least as many green teas as black, particularly matcha (or matcha latte) for its versatility and healthy halo. What may be surprising is the share of menu space taken by herbal teas. Among larger coffee chains, herbal teas comprised 40-60% of the tea menu. This certainly makes sense for loyal customers who have had their fill of caffeine for the day. Recommendations: dedicate nearly half of your menu to herbals, particularly chamomile (seen as a relaxing tea), hibiscus (for its bold, enticing color), and caffeine-free fruit blends (an appealing option for children and others who need to avoid caffeine). Most all of the tea shops has at least one tea outside of these categories. These included pu’erh teas, oolong teas, and white tea blends. Recommendations: having a more unique tea on the menu invites customers to explore new teas and gives the tea menu space for growth and experimentation. The unique tea on the menu can be periodically changed to give the tea menu a fresher feel. Selecting the right tea blends for the tea menu isn’t difficult, but does require awareness of customer expectations and the trends that are shaping the direction of tea-drinking. To view Firsd Tea’s tea blends, CLICK HERE. View an introduction to our tea program HERE.